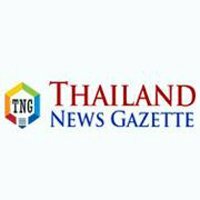 A Chinese political refugee detained last month by police in Thailand has begun a hunger strike in an immigration detention center in the hope of staving off her forced repatriation. Wu Yuhua, who is also known by her nickname Ai Wu, was detained by police in Bangkok alongside her husband Yang Chong on Aug. 29 and locked up in an immigration detention center. The couple had been registered as genuine political refugees by the United Nations and were awaiting resettlement in a third country. Fellow Thailand-based refugee Yu Yanhua said Ai Wu had begun refusing food after the couple’s third appeal was rejected by a court in Bangkok. “I don’t think she will be able to stand [being on hunger strike],” she said. Meanwhile, the Thai authorities have changed conditions attached to bail arrangements for the couple on a number of occasions. “They said it would cost 24,000 baht [U.S. $731] for one person and 48,000 baht [U.S. 1,461] for both of them to bail them out, but then there was also an issue with their address,” Yu said. “Then they wanted the U.N. to guarantee they wouldn’t abscond, so I came here to the UN today, and they won’t guarantee that Ai Wu and Yang Chong won’t abscond,” she said. Wu also said efforts were under way to prevent the couple from being repatriated to China where they would likely face official reprisals for their activism. Yang and Ai Wu were initially targeted by Chinese police after taking part in the press freedom protests in the southern city of Guangzhou in January 2013. They fled the country in February 2015, and made their way to Thailand after Ai Wu started a support group for disappeared rights lawyer Gao Zhisheng. Since then, they have been eking an existence without papers in the country’s Pattaya region. Another Thailand-based refugee Wang Xili said he believes Beijing is behind the couple’s detention. Wu and Yang were detained along with He Weiyi outside the New Zealand Embassy in Bangkok, where they had intended to deliver a petition along with Duan Jinggang and other Chinese exiles. Eyewitnesses said He Weiyi, a missionary with legal immigration status in Thailand, was released soon after, but Wu and Yang couldn’t produce any legal documents proving their right to be in Thailand, and were taken to an immigration detention center.